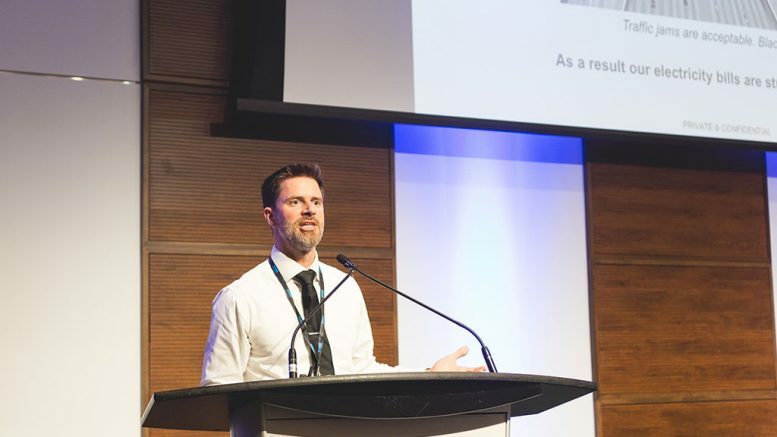 Peak Power COO Matt Sachs speaks at the Progressive Mine Forum in Toronto in October 2018. Photo by George Matthew Photography. Peak Power COO Matt Sachs talks about how industrial users of electricity can use predictive technology to move off grid power during peak load times, and save money. This is an edited portion of a sponsored presentation Sachs gave at The Northern Miner‘s Progressive Mine Forum held at the MaRS Discovery District in Toronto in October 2018. Visit www.peakpowerenergy.com for more information. Be the first to comment on "The Northern Miner Podcast – Miner Moment #18: Getting savvier with energy consumption ft Peak Power’s Matt Sachs"